The OGIO – Ladies Intake Trench Style LOG504 is available in Ladies Sizes: XS-4XL and comes in colors Blacktop and Diesel Grey. This jacket is breathable and has a waterproof rating. Bound to keep you warm and looking fashionable. The Intake Trench Jacket comes in Ladies sizes XS-4XL and is available to purchase in the colors Blacktop and Diesel Grey. This soft shell trench protects against wind and rain with unparalleled OGIO style. 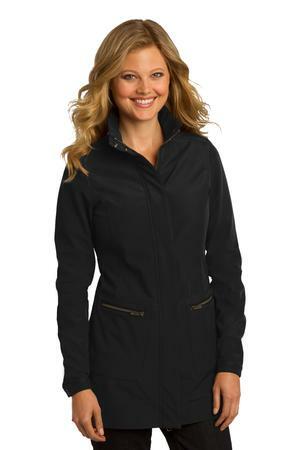 Be the first to review “OGIO – Ladies Intake Trench Style LOG504” Click here to cancel reply.